Reputation was once described to me as what people say about you when you’re not around. The problem with this description is it implies that your reputation is determined by other people and what they say. But this isn’t true, actually. A more accurate definition is that your reputation is what you make of it. It’s how you respond to the criticism that inevitably is going to befall your business. This article will teach you the ten commandments of proper reputation management. When it comes to reputation, Google is thy lord. There is very little nowadays that people cannot find out about you through a simple Google search. Remember, this counts for images as well. And Google they do. A recent study found that 80% of employers Google you before inviting you to an interview. Customers similarly go to Google in search of reviews before buying a product or service. And make sure they are all positive. If not, you have some management to do. A negative review above the fold is extremely damaging. It sends a red flag to would-be buyers to stay away. I don’t even need to read that article, or any other articles for that matter, to know that I should stay away from MOBE, because as the old adage goes – where there’s smoke, there’s fire. What does your Google say? The biggest mistake companies make with their reputation is doing nothing. You’re a good company, so you don’t have a reputation problem? Right? Look, everyone has a bad day. Every business has a customer that just can’t be satisfied, no matter how hard they try. Mind you, Zappos is heralded as one of the companies with the best customer services. I can’t even count the number of times they’ve been used as an example as to why their customer service rocks. Bad reviews are going to happen, but it’s how you handle them that creates your reputation. What if, instead of doing nothing, they replied to this review (second button in the middle)? What kind of message would it send to customers who were reviewing this page? Chances are, it would reassure people that you care enough about your reputation to want to provide good service going forward. Believe it or not, I find that most people are more forgiving than you give them credit for. I’ve seen the most vocal haters won over by a simple gesture. People just want feel listened to. Most review sites allow for people to respond to reviews (Trip Advisor, Yelp, etc). Unfortunately, most companies just don’t take advantage of it, because they don’t value their online reputation. Don’t be that guy – value your reputation, because once it goes it’s very hard to get back. Are you monitoring your social media accounts? Over 50% of Twitter users engage with brands on Twitter – often this is for customer service. Not surprisingly, 30% of brands now have dedicated Twitter handles for customer service. 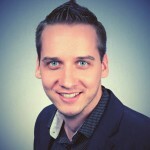 Social media matters, and how you assert yourself says a lot about your brand. 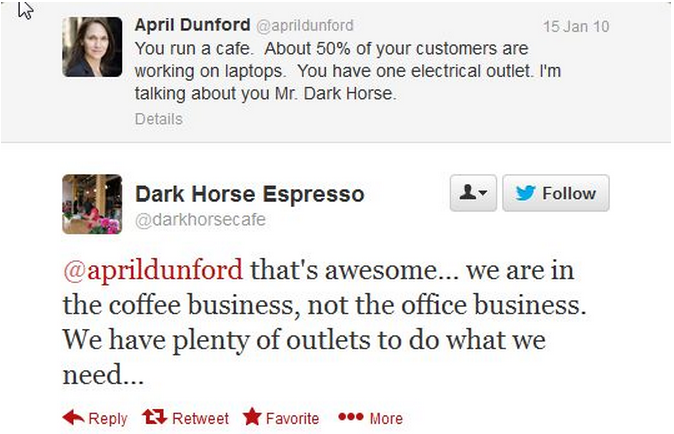 Here’s an exchange that went down between a coffee shop owner and a customer. Was this poorly handled? Absolutely. Has this been cited on numerous articles about reputation management? Absolutely. Will this be a part of the Twitter chronicles until the end of time? Absolutely. Make sure you are monitoring your social media profiles and responding accordingly. People rarely side with companies anymore. Let’s face it, general consumer sentiment for businesses just isn’t very high. So if you see a poor review, although your gut reaction is to criticize it: stop. It’s just going to make you look worse. Remember, if the review isn’t justified then you shouldn’t need to overreact. Take the high road. Address it, absolutely, but do not overreact. Here’s an example of an overreaction. 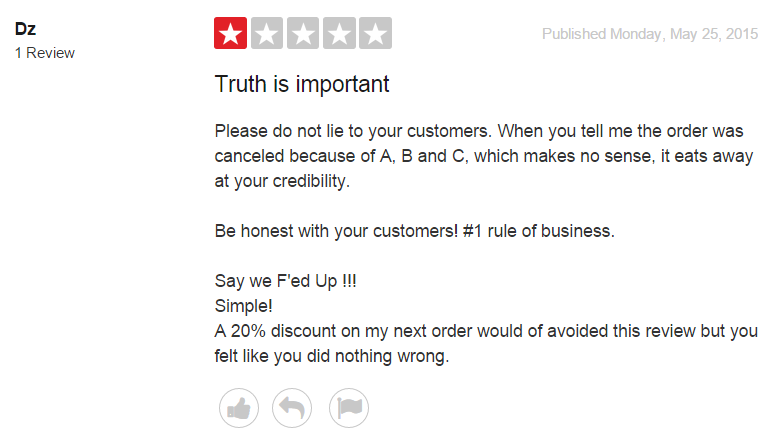 Amy, the owner of a local pizza store, insults a customer who leaves her a bad review. Truth be told, Joe’s review was obnoxious, but it doesn’t justify Amy’s outlandish response, filled with all the typical attributes of someone gone crazy online, including gratuitous use of capitalizations and punctuations. If you take the time to read Amy’s review, the thing is, she actually has some very good points that counter Joe’s argument that the pizza was crummy. But it’s the way that attacks him that makes it impossible to side with her. In another world, she would have responded with all the same points, politely, without the attacks on his character, and offered him the chance to come in and try the pizza again, for free. She would have scored major points and probably not ended up in the local paper labeled as a crazy maniac. I get it – negative reviews are hard to swallow. And some of them are obnoxious, to say the least. People notoriously don’t have filters when they write things online. But the truth is that the majority of them are simply customers who are ill-informed (assuming you run a good business, which you do). In fact you could even view a lot of these as cries for help, people looking to be heard. I’ve had plenty of instances where the customer was simply wrong, and clarifying it actually won them over. 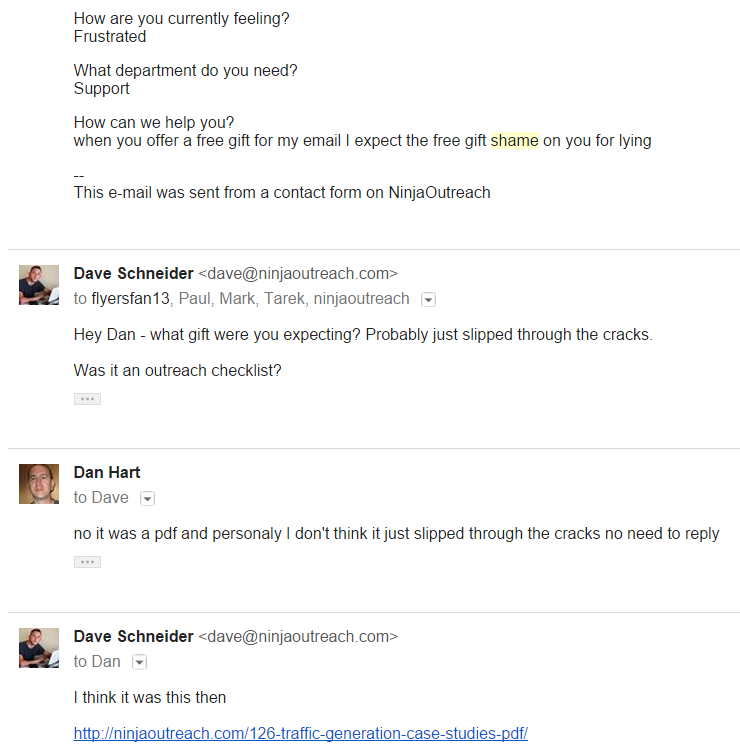 Here’s a recent exchange from NinjaOutreach where a website visitor emailed in and said they offered him a free gift, but didn’t deliver. It would have been easy to ignore this visitor (not even a customer, mind you), and in all likelihood he would have just gone away. But going the extra mile to try and satisfy him is likely going to help prevent a bad review in the future. And if a review does come up, you now have evidence backing the fact that you made an attempt to remedy the situation. We often forget that our reputation is heavily tied to those, with whom we do business. Perhaps we are not directly at fault, but if we are associating with a company with bad practices, we may find ourselves under fire. McDonalds has long been under fire for not setting appropriate standards for the organizations and farmers it sources its products from. After years of fending off—or ignoring—critics, McDonald’s has begun working with them. Following pressure from the People for the Ethical Treatment of Animals, McDonald’s used its influence to force egg suppliers to raise the living standards of hens and cease debeaking them. PETA has publicly lauded the company for its efforts. Did they just say that PETA has publicly lauded McDonalds? In the eyes of McDonalds it may not have been their job to make sure their partners were complying with appropriate standards, but when it comes to reputation, it’s everyone’s job. Make sure you Google your partners to find out what they are up to, and encourage them to take responsibility of their reputation, because yours is at stake as well. So how do you fight against all of this? These pages are virtually free to set up and you control the content on them, which is a huge advantage in making sure that reputation seekers find what you want them to find. They also tend to rank at the top of searches, because social profiles have a lot of authority. The truth is, sometimes you just screw up. The bigger and more well-known you are, the more likely it’s going to happen. So what should you do when it happens? Ignore it? A few years ago Nestlé received negative comments about their environmental practices on their Facebook Fan Page. They did not address them. Public outcry ensued, forcing the company to close their public page. It’s not really fun to hate on a company that has already taken responsibility and apologize. It really just takes the wind out of any riot. Be proactive and if need be, accept defeat – it will help prevent things from getting completely out of hand. 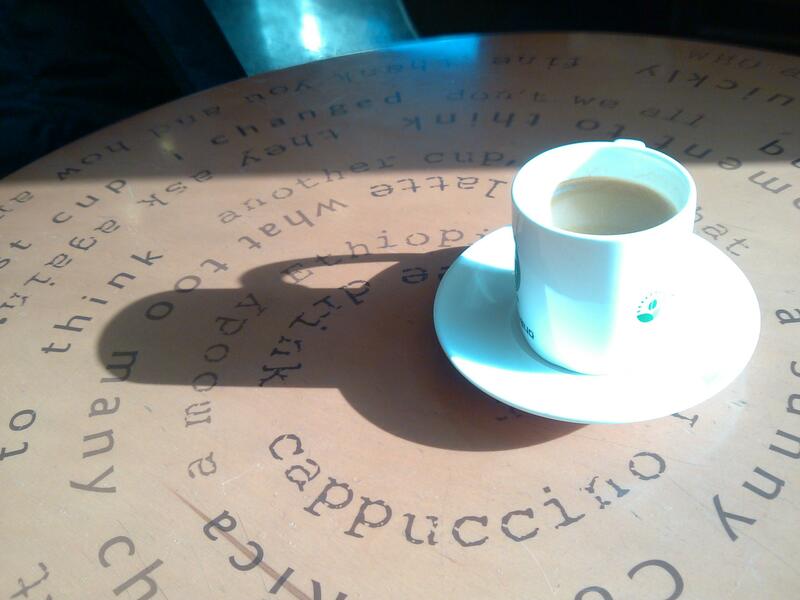 Just like partners, employees are a reflection of the organization as a whole. In a small company, you should make an effort to stay on top of everyone’s image. In a large company, it may be impractical to monitor everyone’s online reputation, but at a minimum you can set policies for people to follow. This is especially true for those people who are managing your social accounts. At the end of the day, there is no way to remove a bad review from the internet, unless the owner agrees to take it down (this is extremely rare). What you can do, however, is to drown it out with good reviews. Take control of your web properties, and build white hat links to them to increase their rankings. Proactively ask customers, friends, and family to leave you good reviews on key sites like Yelp. Perfect timing for this is after a customer service win, or after an NPS survey, in which someone rated you highly. 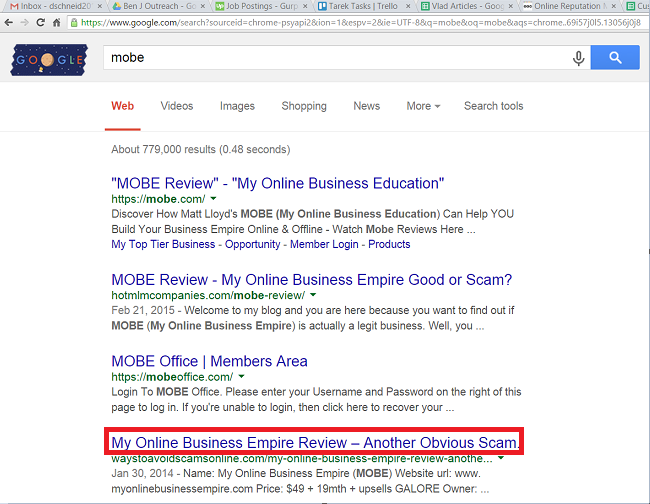 Respond to all reviews about yourself on key review sites. Flag reviews that are overly disparaging or use lewd language. Often these go against the TOS of the sites and in some cases may result in it being taken down. Offer discounts to people who have had bad experiences. This shouldn’t be portrayed as a bribe, more as an ask for a second chance. Your online reputation matters. It’s worth defending. One bad review can undermine months and years of hard work, but that’s only if you let it. If you’re proactive in monitoring and responding to bad press, you’ll weather the storm. 2014-2017 © Digitally Savvy. All Rights Reserved.